If you are looking to bond, get to know one another better or searching for an energy and productivity boost in your work place, you have come to the right place. We can customise events based on your preference and budget. Events can be conducted at our East Coast Park Venue or other third party venues. We conduct it at your preferred location too! More than just laser tag! The first ever laser tag robot: Shoot Robotag to earn more points - strategise as a team. Play treasure hunt, in a digital way. Tag Archery available for target shooting or combat battle. BUILD, FLY, AND PLAY LASER TAG WITH DRONE! Participants get to work in teams to assemble a micro drone, learn basic flying drills and ultimately face-off in a game of laser drone tag! Contact us to find out more! We also conduct Station Games, Telematch Activities, or Amazing Race format activities which are ideal for huge groups. 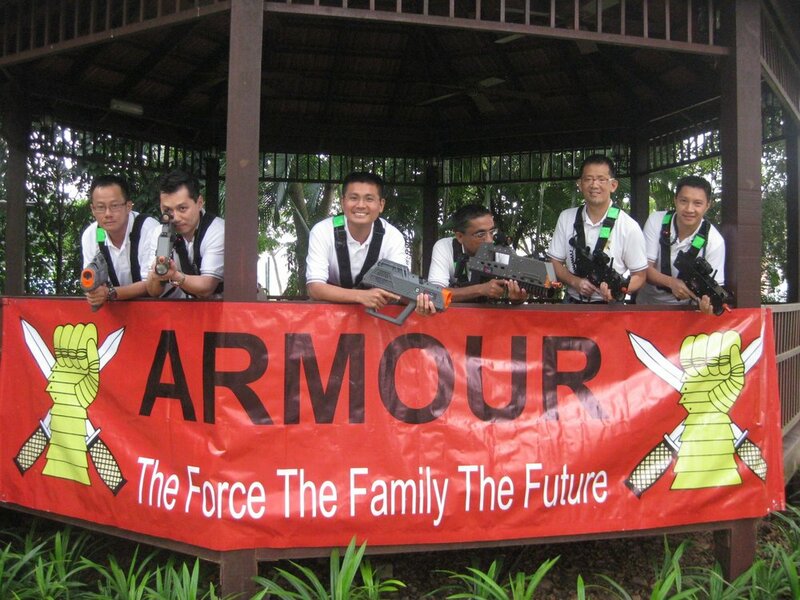 Entire crew of TheSmartLocal having their team building at our indoor and spacious East Coast Park outlet. Click on the video above to check out the corporate team building event we provided for TheSmartLocal! Listen to the comments from 6:01 onwards! Click on the video to catch a glimpse of the range of corporate services we provide - Corporate Team Building, Community Events, Event Partnership, Customized School Programmes, Cohesions, etc! We provide technology customisation for games, sports, exhibitions & large-scale events: shooting gallery, branding booths, mixed reality, sports scoring and special events. Click HERE to find out more. If you are from Human Resources (HR) and looking for staff welfare activities, look no further than our Corporate Membership! Contact us to find out more!